A slow and a regular coffee maker in one model. 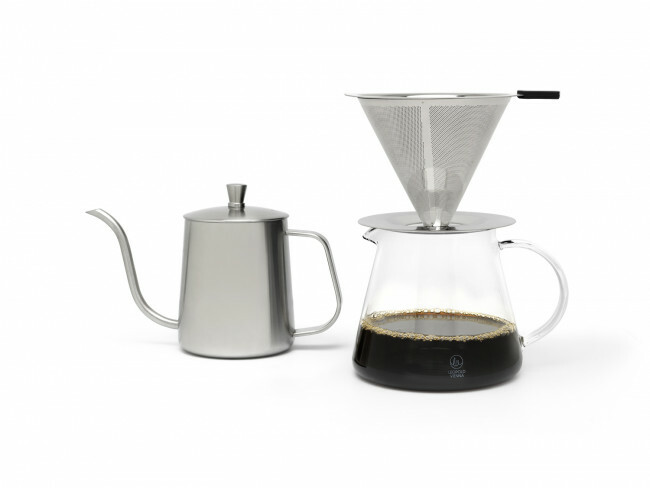 You decide how to brew your coffee. 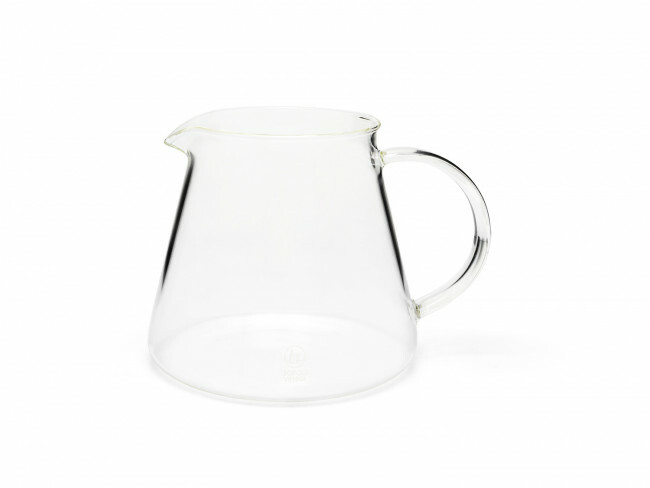 Made of heat-resistant borosilicate glass. 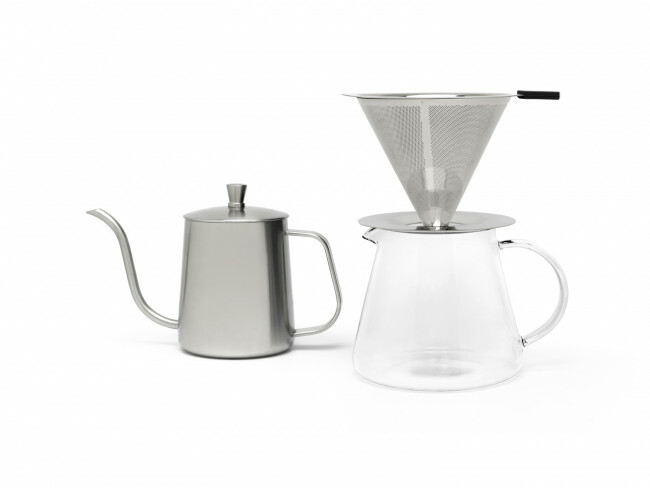 Prepare the best tasting slow coffee with this set. Includes a coffee pot, filter, water kettle and lid. 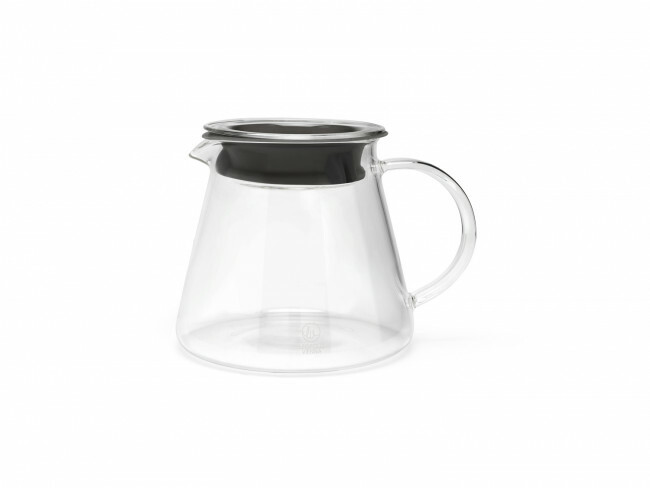 The pot is made from heat-resistant borosilicate glass, and both the water kettle and filter are made from stainless steel. A pleasure to gift, but also to make yourself happy!